Welcome to Day #5 of Chocolate and Halloween wEEKs. 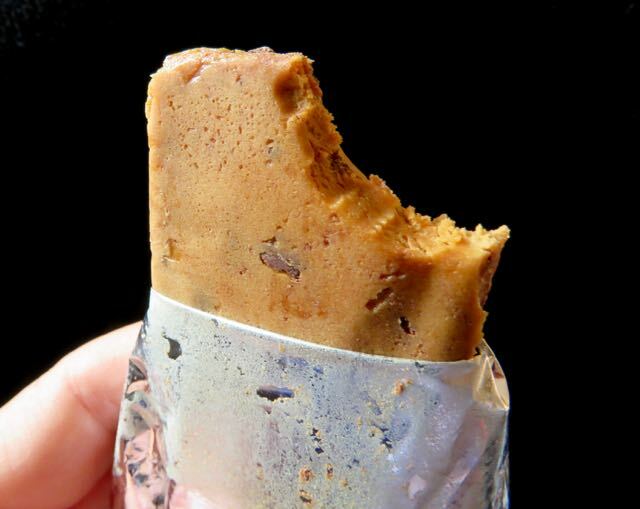 We're exploring health and nutrition bar alternatives these last few days. While the notion of health bars may offend some traditional Halloween candy fans, there are alternatives for all in the U.S. Typically nutrition and health bars have contained added nutrients, vitamins and minerals, and/or added protein. Most popular, full-size chocolate candy bars contain about 4-8 grams of protein and lots of sugar/carbohydrates. 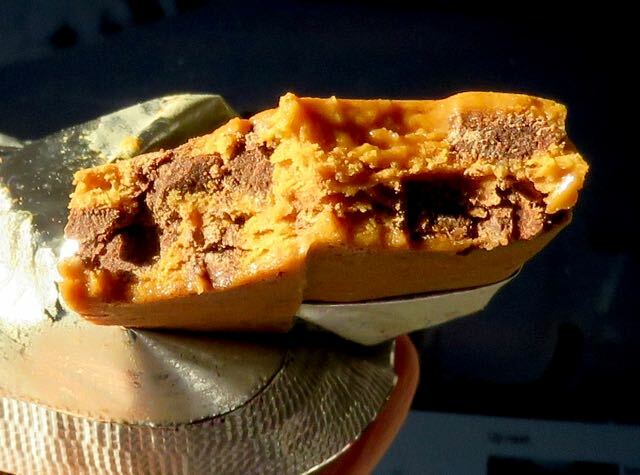 This bar boosted the protein and reduced the sugar and fiber. 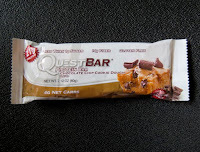 Despite the sweet-sounding cookie flavor name, the gluten free Quest bar contained only 1 gram of sugar (and 4 grams of net carbs); it was sweetened with Sucralose, Erythritol and Stevia. The bar also contained 14 grams of fiber. This protein bar had a caramel color and flavor, with a dense/compressed, chewy texture. The embedded chocolate chips were more obvious after taking a bite and they contributed some chocolate flavor.